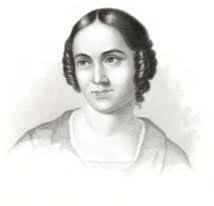 Emma Hart Willard (1787-1870) was an educator and writer who dedicated her life to women’s education. She worked in several schools and founded the first school for women’s higher education, the Troy Female Seminary in Troy, New York. With the success of her school, she was able to travel across the country and abroad, to promote education for women. Willard pioneered the teaching of science, mathematics and social studies to young women. Emma Hart was born on February 23, 1787 in rural Berlin, Connecticut. She was the sixteenth of seventeen children from her father, Samuel Hart, and his second wife Lydia Hinsdale Hart. Her father was a farmer who encouraged his children to read and think for themselves. At a young age, Willard’s father recognized her passion for learning. Sophia Smith (1796-1870) founded Smith College in Northampton, Massachusetts in 1870 with the substantial estate she inherited from her father and siblings. The first woman in America to endow a college for women, Sophia Smith was not a social crusader, but she did believe that women’s power for good would “be incalculably enlarged” by higher education. Born on August 27, 1796 in Hatfield, Massachusetts, Sophia Smith was the fourth of seven children – and the first daughter – of prosperous farmers Joseph Smith and Lois White Smith. Of the seven Smith offspring, three died young and only Joseph Jr. married, producing no heirs. Sophia lived with her sister Harriet and brother Austin at the family homestead, which still stands at 22 Main Street in Hatfield. 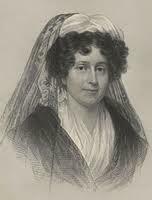 Mary Lyon (1797-1849) taught and managed schools in Massachusetts and New Hampshire before establishing Mount Holyoke Female Seminary (now Mount Holyoke College) in 1837, the first college for women in the United States. Within two years, she raised $15,000 to establish the school that became the model for institutions of higher education for women. Lyon firmly believed that women must be well educated to contribute significantly to society’s greater good, and endeavored to make her school affordable for students of modest means. 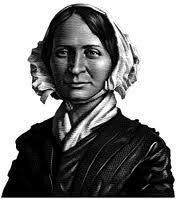 Mary Lyon was born February 28, 1797 on a farm near Buckland, Massachusetts. Her father Aaron Lyon, a veteran of the Revolutionary War, died when Mary was five, leaving her mother Jemina to raise seven children and manage a 100-acre farm on her own. At her mother’s side Mary learned the skills and crafts necessary for a New England farm girl. In the early 19th century, most people felt that girls did not need to be educated to become wives, mothers and caretakers of the house. Mary began her education at the village school, about a mile from her home. When the school was moved farther away three years later, she left her family and lived for the school term with relatives and local families. She did chores to pay for her room and board. Mary was thirteen when her mother remarried and moved into her new husband’s home, leaving Mary behind. Mary left school to keep the house for her brother Aaron, who took over the family farm. He paid his sister a weekly wage of one silver dollar. Mary had already received more schooling than most girls of her time. In 1814, townspeople offered seventeen-year-old Mary Lyon her first teaching job at a summer school in nearby Shelburne Falls. At the time teachers needed no formal training, and her reputation as an excellent student years earlier was enough of a qualification. Female teachers were especially in demand because many men were moving west. The job paid 75 cents a week, far less than the $10 to $12 a month a male teacher received. Mary’s modest beginnings fostered her life-long commitment to establishing educational opportunities for girls from middling and poor backgrounds. Although private female academies, often called seminaries, were springing up in New England, women of modest means could not afford the tuition. Moreover, they often taught only drawing and needlework, while male students studied geometry, science and Latin. Despite the financial burden and a busy teaching schedule, Mary Lyon was determined to further her own education. 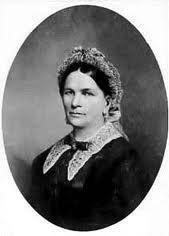 She alternated time in the classroom and at lectures, sometimes traveling three days by carriage to enroll at a school. Against the advice of her family, Lyon paid for her education by cashing in a small inheritance from her father. At age 20 Lyon began studying in earnest at Sanderson Academy in Ashfield, Massachusetts. There she studied mathematics, logic, speech, grammar and geography. She learned etiquette in the home of attorney Thomas White where she boarded. White’s daughter Amanda became Lyon’s lifelong friend, and in 1821 they went off to the Byfield Massachusetts Female Seminary together. By this time, having alternated between teaching and attending school at both Sanderson and Amherst Academy, Lyon was ready to devote herself to full-time study. Sarah Pierce was born June 26, 1767, the fifth child and fourth daughter of Litchfield farmer and potter John Pierce and Mary Paterson Pierce. Sarah’s mother died in 1770 and two years later her father remarried and had three more children.